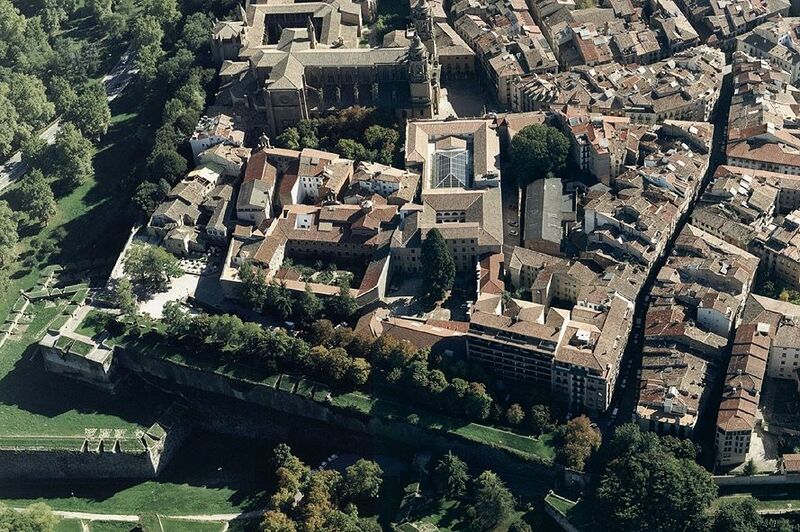 Promoter: Pamplona Centro Historico S.A.
Special Intervention Zones Z.I.P. 1 and Z.I.P. 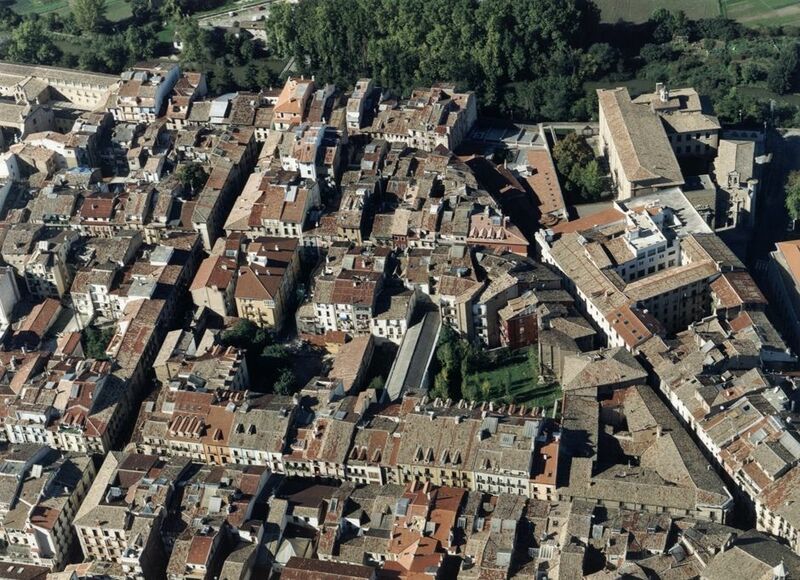 6 are defined by the Special Protection and Interior Reform of Pamplona´s Historic City Centre Plan. Global Intervention Projects P.I.G. are established as instruments for developing Special Intervention Zones, Z.I.P. 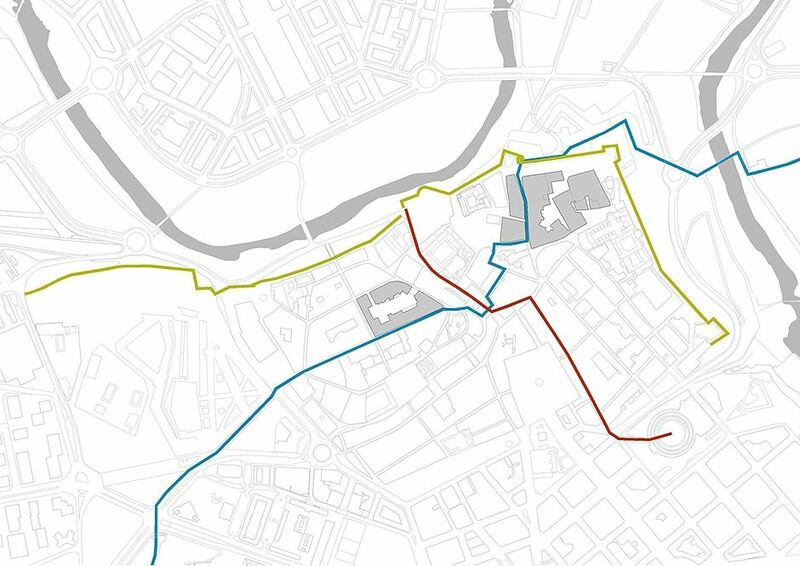 Special Intervention Zones deal with historic heritage values of great importance, and this constitutes a potential, a valuable resource that must be considered not only on aspects of protection and conservation, but also in their touristic, cultural and commercial attractive. 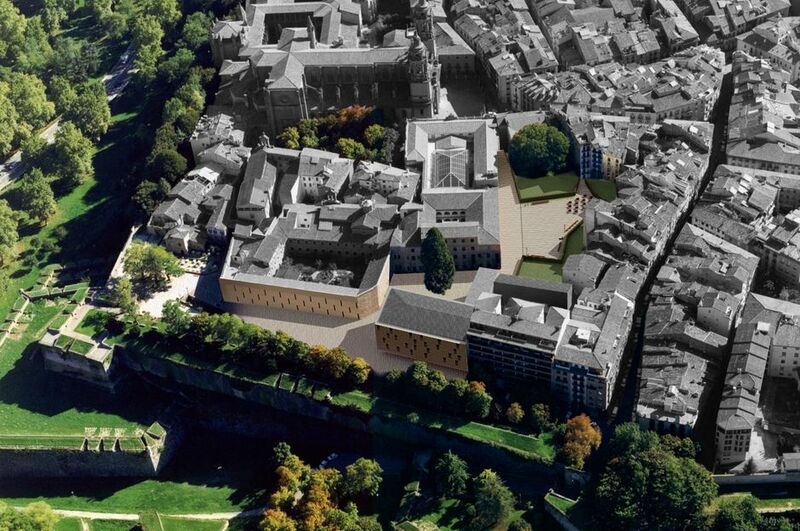 A fundamental aim is to complete the rehabilitation of the area that presents a differentiated problematic, which is an obstacle to the fulfilling of the objectives desired through the intervention in the historic city centre: rehabilitation and revitalisation. Under no circumstances should we forget that physical rehabilitation will not be complete unless there is a parallel socio economic one. It is a must to articulate positive and progressive urban rehabilitation interventions with dynamic and imaginative actuations for socioeconomic recovery. 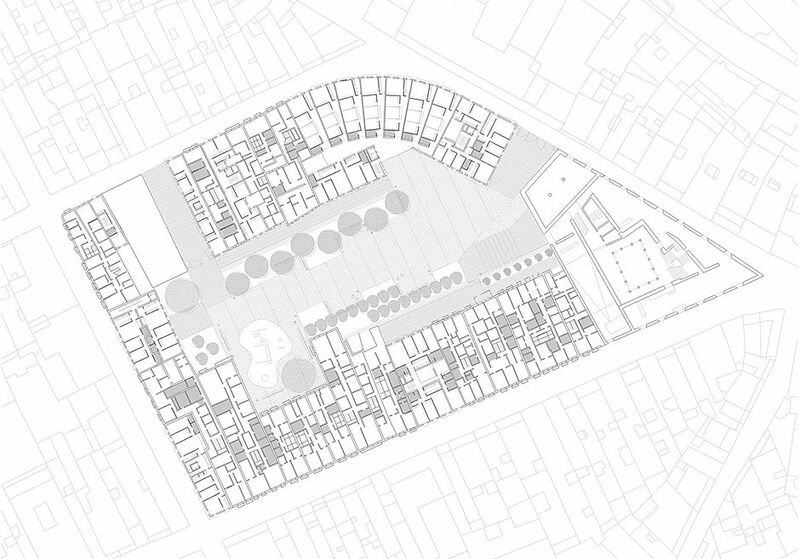 The treatment of residential areas holds an exceptional interest, and specially the treatment of blocks where the aim is to free interior space for free public space, once getting rid of out of planningconstructions, or the parts of them that are occupying the block´s interior space. Z.I.P. 6 projects a commercial-leisure gallery associated to an underground car park exclusively for residents. 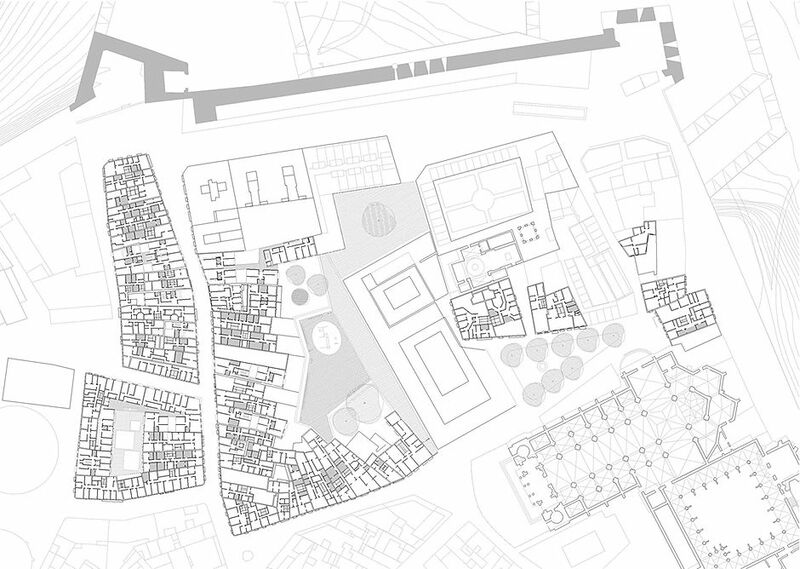 In residential housing in general, some spaces come up that due to their complicated floor design present serious living problems; typologies like the Spanish saddlebag and substandard housing, that present furthermore deficient building and sanitary-health conditions. 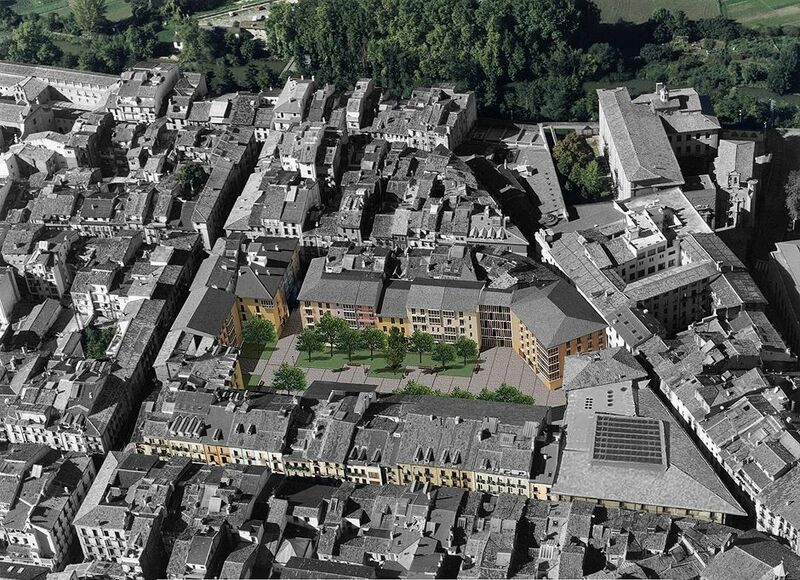 For this reason it seems convenient to propose an integral renovation or substitution actuation, with the aim of achieving, through an architectural proposal of quality adequately integrated in the context of new housing, decent and in living conditions, aimed at both the actual residents and the future residents that may come attracted by the improvement of the area´s living conditions, which will positively improve the zone´s social and economic recovery.